WE WON THE WORLD SERIES!!!! Oh, the glory. Oh, the epic glory and elation. 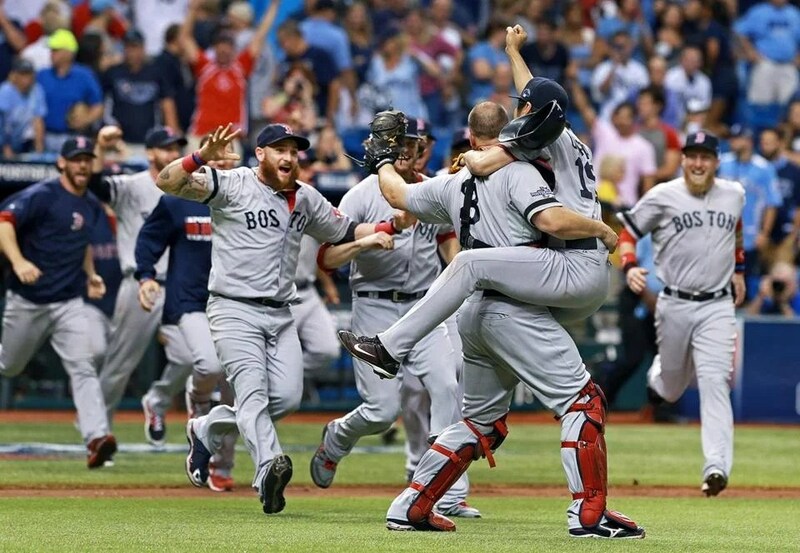 Oh, the epic glory and elation and wonder and virtue and justice that has been delivered again to Boston this year. I don’t even know. I can’t even adequately verbalize the truly awesome epicness of this entire situation. Oh, the glory. I just have to say this. Ladies and gentlemen, we, Red Sox Nation, are the official diehard supporters of the Boston Red Sox, the official World Series champions. Actually, I have to say this multiple times. 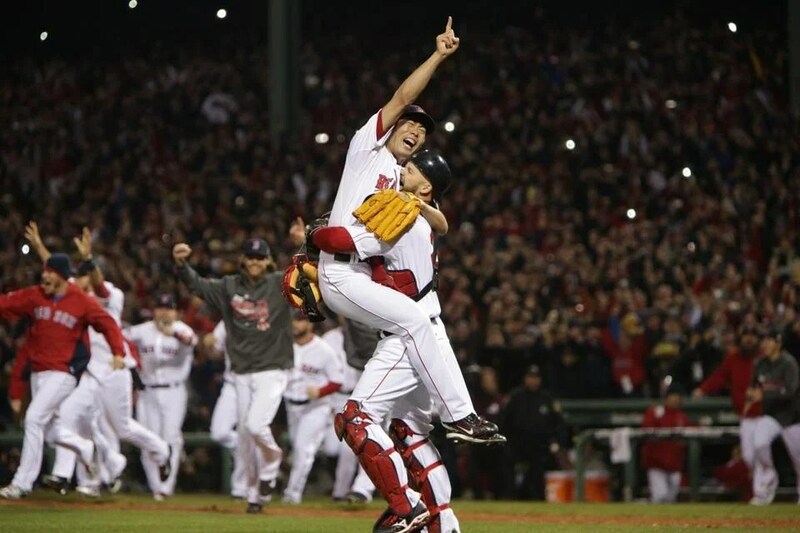 THE BOSTON RED SOX JUST WON THE WORLD SERIES!!!! THE CROWN HAS RETURNED TO ITS RIGHTFUL PLACE!!!! THE UNIVERSE HAS NOW AGAIN BEEN MADE RIGHT!!!! And again. WE ARE WORLD SERIES CHAMPIONS!!!! Think about where we were this time last year. We were not busy winning the World Series. We were busy trying to deal with the pain of watching some other team win the World Series, let alone play in the World Series, let alone make it to the playoffs. The circumstances surrounding the team were so disappointing and disillusioning so often, and we were just hoping that we could turn it around in the offseason. After that offseason, since day one of this season, the pieces have fallen into place. This year’s team is brand new in so many innumerable and yet vitally important ways. And it was really a team, from the first game of Spring Training to the last game of the World Series; even through everyone said we wouldn’t amount to anything this year, a different guy was getting it done every night, and everyone was relying on everyone else to deliver their own core strengths. The clubhouse dynamic has been healthy, and that really translated well onto the field. So in terms of big-picture team qualities, I think this year’s team just had so much in common with past teams that have won the World Series. And I don’t think that that’s a coincidence. To go from worst to first, it takes a team. A whole team. It definitely takes a team. This posteason hasn’t been easy. We had our work cut out for us the whole way through. And this is the first of our last three championships that we hadn’t been able to sweep. It was nerve-wracking and nail-biting. It was like that all the way down to the wire. Of course, in the end, part of that had to do with the fact that, even though I was seeing it with my own eyes, I couldn’t quite believe it until the field was mobbed and the goggles were donned and the champagne was sprayed and the trophy was hoisted and and we won it all. That last out was just so brutal; the seconds lasted forever, and then it was over so fast. And we won the World Series. This whole organization turned itself around, and we became champions of the world. I am so proud of this organization and this city, and I am so proud to be a member of Red Sox Nation. Alright. Down to the monumental contest itself. Obviously, we came home needing to win only one more game to cap the year with the greatest accolade that the Major Leagues has to offer. Lackey got the call, and he most definitely did not disappoint. He delivered one of the best starts this month, giving up only one run on nine hits over the course of six and two-thirds innings while walking one and striking out five. He threw 105 pitches, two of which were wild and seventy-six of which were strikes. But that doesn’t even tell the whole story. He went one-two-three in the first. He gave up two singles in the second and ended the inning with three straight outs. He went one-two-three in the third despite giving up a single thanks to a double play. He gave up a single and contended with a second baserunner in the fourth thanks to a fielding error by Pedroia but escaped unscathed. He pitched around another two singles in the fifth and went one-two-three in the sixth. His problem was the seventh. Lackey is an incredibly fierce competitor, which is something you really, really want in a starting pitcher. Unless they aren’t very good at letting go. Two outs into the inning, he gave up a single, a double, and an RBI single. That run was the Cards’ first of the night, which broke up a potential shutout. I’ll be honest with you. A win is a win no matter how many runs the opposition scores as long as you score more, but after having played close games against this team, I just really, really wanted the shutout. Whatever. We won the World Series, so in the end it doesn’t matter. Anyway, then Lackey convinced John to leave him in but proceeded to issue a walk. And that was it for Lackey. But not before he received an incredibly well-deserved standing ovation. The organization turned around, and so did he. And earned the start last night, and he earned that standing ovation. Then Tazawa ended the inning. Workman came out for the eighth and mowed right through, going one-two-three in the inning. And then I could taste it. I could just feel that glory about to wash over this great city. A city that’s been through a lot this year, and a team that’s helped everyone get through it. The epic awesomeness was supplemented by offense. Obviously. Because without hitting and scoring, you can’t even win a single game, let along a World Series. Whoever hunkered down for a long night after two scoreless innings looked really, really incorrect really fast. We scored three runs in the third and another three in the fourth. Ellsbury singled to lead off the third and moved to second on a groundout by Pedroia. Papi walked intentionally, Napoli struck out, and Gomes got hit to load the bases. Victorino yet again came up with the big hit, clearing the bases with one swing. Then Drew homered on the first pitch of the fourth. It was a fastball clocked at ninety-one miles per hour, and he powered that ball out of the park in right center. It was epic. It was also the lone power display of the night. So in this game we had some of everything: small ball, long ball, and most importantly, everything else. Ross struck out, Ellsbury doubled and moved to third on a flyout by Pedroia, and Papi walked intentionally again. 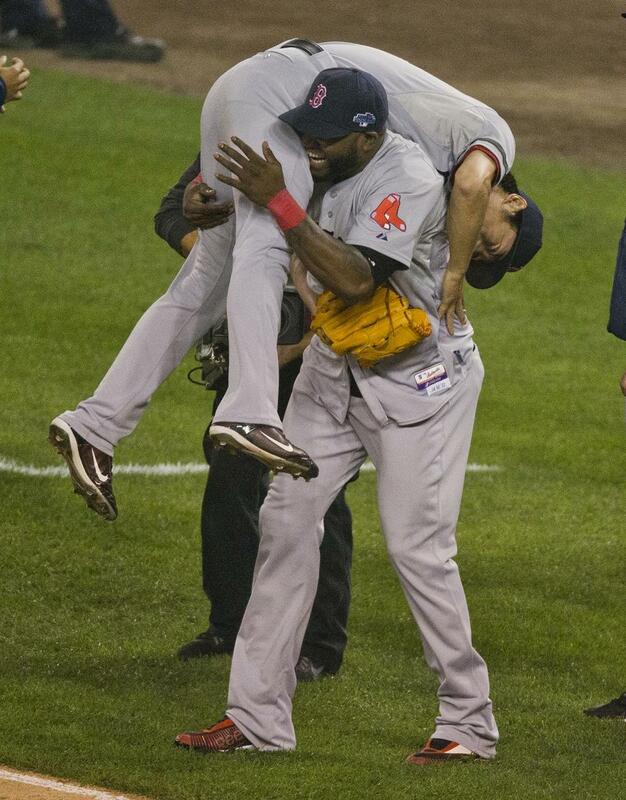 Then Napoli singled in Ellsbury, Gomes walked to load the bases, and Victorino singled in Papi. And that was it. Six runs in two innings. We couldn’t have known this at the time, but the game was won after we scored our second run in the third. And then Uehara came on for the ninth. And he recorded the first out. And the second out. And the third out. It was happening right in front of me and it was something so beautiful and incredible to see, and I couldn’t believe it. And yet simultaneously I could, because I knew that this is where we were, in Boston, at the end of October. Right here. Right now. And then it was over. And the field was full. And we won. We won it all. And The Standells played, because now Boston is everyone’s home. The final score was 6-1. It was the first time we won the World Series at home in ninety-five years. The last time? 1918. Against the Cubs. The first time we won the World Series since? 2004. The team we played? The St. Louis Cardinals. Coincidence? I think not. Again, I point out the glory. The sheer beauty of the thing and the glory, glory, glory that is Boston’s this year. The glory that belongs to every single player, and coach, and manager of course, and staff member, and brass of this illustrious organization. The glory that belongs to Big Papi, the official World Series MVP, and to everyone who was a part of this win. The glory that belongs to each and every beard, real or fake, that’s been feared. The glory that belongs to each and every rally cap that’s been turned upside-down. The glory that belongs to the people of Boston after having endured such tragedy this year. The glory that belongs to Red Sox Nation the world over, because the World Series is ours. I think I speak for all of Red Sox Nation when I congratulate ourselves on a truly incredible journey that has brought us to the end of a truly incredible year. Everyone knows that revenge is a dish best served cold. Well, it’s not as cold in St. Louis as it is in Boston, but winning by the same score by which we lost our first loss of the series while on the road will do just fine. Now the series is even, but we’ve got to keep up the good work. There can be no mistakes from now on. Granted, there could be no mistakes from the first game on, but at least we have time to make up for it. Now that those cautionary remarks are out of the way, we can get down to the business of feeling good about our win! Buchholz pitched an absolute gem. It was a short gem but a gem nonetheless. He pitched four innings and gave up one run that was unearned on three hits while walking three and striking out two. He went one-two-three in the first and pitched around two baserunners in the second. With one out in the third, he gave up a single, which would turn into the unearned run thanks to Ellsbury, whose deflection and missed catch put the runner in scoring position. He again pitched around two baserunners in the fourth, and that was it for Buchholz. Meanwhile, our hitters had gone down one-two-three in the first four innings. We finally scored in the fifth, when Papi led off with a double and scored on a sac fly by Drew. But when Doubront came on for the fifth, during which he went one-two-three, we were still down by one. That changed in the sixth, when we scored our second, third, and fourth runs, what turned out to be our last three runs of the game. Ellsbury and Nava provided two quick outs, but then Pedroia singled, Papi walked, the Cards made a pitching change, and Gomes received five straight sinkers. He took the first for a ball, the second for a strike, and the third for a ball. He fouled off the fourth. And he homered on the fifth. He rocketed that ball beyond the fence in left center field. It was one of those moments where you really feel like you really need a home run and then you just get one, like it’s the easiest and most natural thing in the world. And, because you need it, it is, but that alone makes it so unlikely. Anyway, it was awesome, and it won the game for us right there. Doubront had a one-two-three sixth and got the first two outs of the seventh before giving up a double. Breslow continues to struggle, entering the game and giving up an RBI single. After he issued a walk, it was Tazawa’s turn. Tazawa ended the inning and turned the ball over to Lackey for the eighth. Uehara pitched the ninth, obtaining the game’s last out with a pickoff. So it was Doubront who picked up the win; Breslow, Tazawa, Lackey, and Uehara all held down the fort. And we won, 4-2. Which is awesome and spectacular and really great and extremely essential and important. But I would much prefer not having to come from behind. In other news, the Pats walked away with the win, defeating the Dolphins, 27-17. Ladies and gentlemen, we are officially American League Division Champions! One series down, two more to go! We are a strong team. We are a really strong team, and we should feel very proud of what we’ve accomplished so far. But I have to say, I’m still hungry, so I’m psyched to keep it going. Peavy was an absolute master. The game was tied at zero until the sixth inning. Peavy was just mowing right through the Rays’ lineup like they were minor leaguers. It was awesome. Except for the fact that it was Peavy who cracked first. It was a double-single combination. And we didn’t have answer for it. I just can’t believe we actually lost a playoff game with a final score of 1-0. That’s rough. And the series could have been tied. Breslow came on for the inning’s last out. If it were not for the seventh inning, during which Gomes flied out, Bogaerts walked, Middlebrooks struck out, Ellsbury singled, and between a steal, a wild pitch, and a single, Bogaerts and Ellsbury both scored. And we took the lead. Just like that. Tazawa replaced Breslow one out and one single into the eighth. We added insurance in the ninth thanks to two walks, a hit batsman, and a sac fly. And so the final score was 3-1. Think about how close we were to having the series tied at two. And then think about how the relief corps and the offense rallied to keep that from happening. Now the Rays are eliminated and we’re moving on to the ALCS. Life is good. Soxtober has officially begun! And the beginning is good! We’ve got our first win very much in the bag; it was a slugfest. That’s what I call starting the playoffs off right! We got to play the Rays, and we really put them in their place. 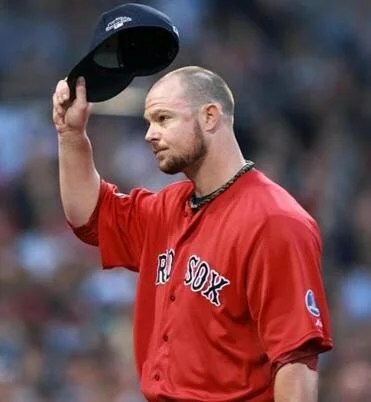 Lester got the nod to start this one, as we knew he would, and he delivered an absolutely excellent performance. He pitched seven and two-thirds innings and gave up two runs on three hits while walking three and striking out seven. His two runs were the results of two mistakes; in other words, he gave up two solo shots, the first one with two out in the second and the second one leading off the fourth. Other than that, he was a master. Tazawa pitched the rest of the eighth, and Dempster pitched the ninth. And that brings us to the offense. Both of Lester’s home runs occurred before we got on the board, so I’m sure the Rays thought they had a real shot at winning this one. Man, were they sadly, sadly mistaken. We didn’t waste time; we scored our first runs, but certainly not our last, in the bottom of the fourth. Pedroia singled, Papi doubled, and both scored on a double by Gomes. After Salty struck out, Gomes scored on a single by Drew, who scored on a double by Middlebrooks, who scored on a single by Victorino. With one out in the fifth, Napoli doubled, Gomes walked intentionally, and both scored on a double by Salty. After Drew struck out, Middlebrooks walked intentionally, and Salty scored on a single by Ellsbury, with a little help from a deflection. We put on the finishing touch in the eighth. Ellsbury singled, stole second, and scored on a single by Victorino. Then Pedroia singled and Papi walked to load the bases. Then Napoli walked in a run. Pedroia scored when Gomes grounded into a double play, and Papi scored on a single by Salty. And that’s how we won our first playoff game, 12-2. Done.